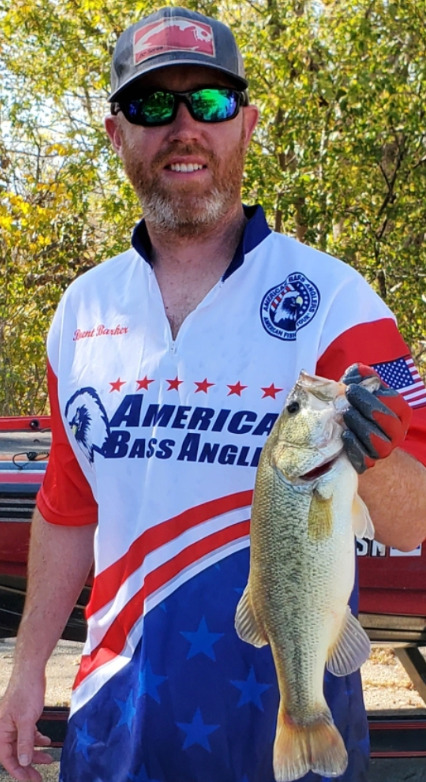 American Bass Anglers Division 66 will hold a tournament at Yates Center Lake on Sunday 22 July 2018. Launch site is the Yates Center Lake Boat Ramp. Registration will start at 4:45 a.m. Morning meeting and safety briefing will start at 5:30 a.m. We will launch following the morning meeting and fish until 1:00 p.m. Entry Fee is $70, optional Big Bass pot is $10. American Bass Anglers membership is $35. Boaters are required to supply a backseat for their non-boaters. Division 66 tournament at El Dorado Lake on Sunday 29 Apr 2017. Launch site is the Blue Stem #1 boat ramp. Registration will start at 5:45 a.m. Morning meeting and safety briefing will start at 6:30 a.m. We will launch following the morning meeting and fish until 3:00 p.m. Entry Fee is $70, optional Big Bass pot is $10. American Bass Anglers membership $35. All Division 66 tournaments held at El Dorado Lake will have a 4 fish limit of 15 inches or longer. Boaters are required to supply a backseat for their non-boaters. American Bass Anglers, RAM American Fishing Tour Kansas South Division 66 will hold its two-day championship for the 2017 season at El Dorado Lake on Saturday and Sunday 9-10 Sept 2017. Launch site is the Blue Stem #1 boat ramp. Registration will start at 6:00 a.m. Morning meeting and safety briefing will start at 6:15 a.m. We will launch following the morning meeting and fish until 2:30 p.m.
American Bass Anglers, Ram American Fishing Tour District 66 will hold its third tournament of the 2016 season on Sunday May 22nd at El Dorado Lake. The launch site is Blue Stem #1. Registration will start at 5:00 a.m. The rules and safety briefing will start at 5:45 a.m. We will launch at safe light and fish until 2:30 p.m. Entry fee is $70.00 with an optional $10.00 big bass pot. All District 66 tournaments this season will have a four fish limit, each angler may weigh-in no more than four bass 15 inches or over. Boaters are required to provide a back fishing seat for co-anglers.